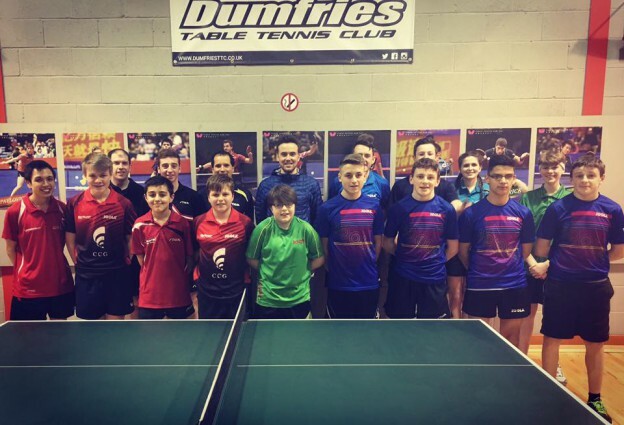 Dumfries Table Tennis Club invited a squad of North Ayrshire players down to compete in a inter club friendly match on Friday 11th March. 9 players from NATTC travelled down to compete in team matches with consisted of three 3 v 3 matches. All matches were very close and played in good spirit, NA A beat Dumfries A 5-4, NA B beat Dumfries B 6-3 & NA C beat Dumfries C beat 5-4. Dumfries TTC are holding a Easter Training Camp on April 5th, 6th & 7th with information on their website – www.dumfriesttc.co.uk. This entry was posted in Latest News on 22nd March 2016 by Chris Main.